Soak up the sun along our white-sand beaches. Treat yourself to diverse dining, enriching arts and culture, shopping districts of all sorts and natural Florida fun. In Sarasota, each moment is your own. It’s not too early to think about Florida! This was an article that appeared in our local paper a few weeks ago that seems to summarize what Irv and I share all the time with our folks who come down to look for their vacation, or permanent home, and-"I could not have said it better myself!" “Back in March, I wrote about why Sarasota is the best place to live in Florida." 1. Weather: You could say this about any coastal place in the state, but having lived under the gray skies of Pennsylvania and in cold Colorado, let me tell you, that nearly daily dose of sunshine and utter lack of freezing cold temperatures is the No. 1 reason people from the rest of the country continue to relocate here as if we were giving away oceanfront property. “Dr. 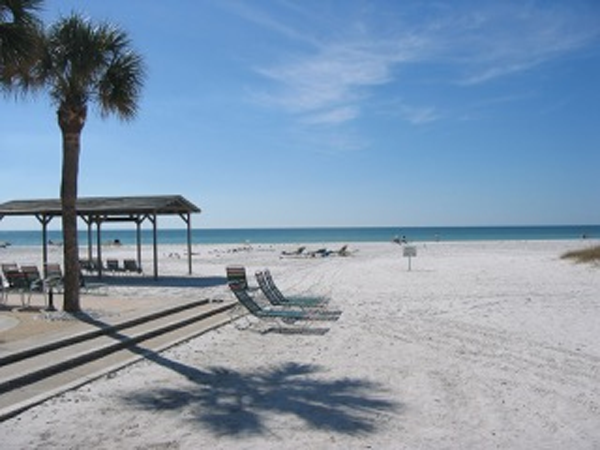 Beach” recently named Siesta Beach the best beach in the United States for the second time in seven years. 3. Restaurants: I can walk to a handful of excellent and a couple dozen really good restaurants from our office in downtown Sarasota. There’s many, many more choice spots within a short drive. It’s hard to imagine a city this size anywhere else in the country that has as many outstanding restaurants. 4. Arts Scene: It’s also hard to imagine another city the size of Sarasota with such a vibrant arts scene. Take your pick: museums, art galleries, orchestras, opera, ballet, professional and community theater companies. Plus, our live music scene includes some of the best blues and roots rock musicians in the country. Not bad for a city our size. 5. Parks and Preserves: While the beaches are the celebrities, places like Phillippi Estate Park, Rothenbach Park and Celery Fields are equally charming in their own way. 6. Things To Do: Every week I easily assemble a list of 10 fun things for people to do in the Sarasota area. Even in the dead of summer, a list of 10 fun events is pretty easy to compile.